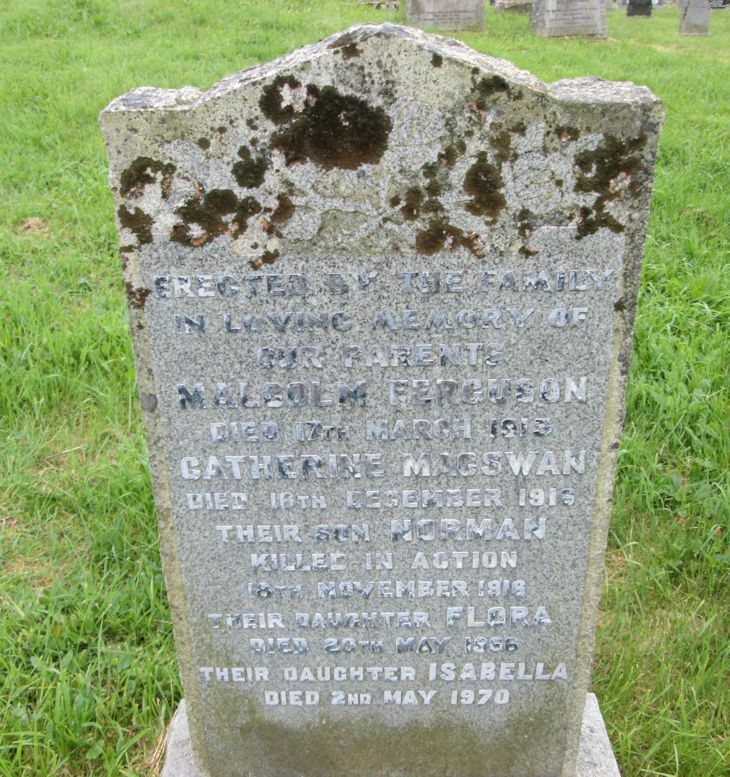 Skye Gravestones | Malcolm & Catherine (Macswan) Ferguson & family. Malcolm & Catherine (Macswan) Ferguson & family. Erected by the family/in memory of/our parents/MALCOLM FERGUSON/died 17th March 1915/CATHERINE MACSWAN/died 16th December 1916/their son NORMAN/killed in action/18th November 1916/their daughter FLORA/died 20th May 1966/their daughter ISABELLA/died 2nd May 1970. Picture Added on 25 June 2014.